Depending on your circle of friends or activities, the P90 could be a reference to the hyper-workout schedule of the P90x program. If you are a geek like us, then it means a Intel powered smartphone, the Lenovo P90. The P90 is well appointed hardware, making up for its unassuming appearance. 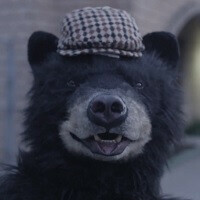 Lenovo opted to appeal to bear lovers and business pros in a two-part video promotion. Spec-wise, there is not much to dislike about the Lenovo P90. It has a comfortably large 5.5-inch 1080p display, 13-megapixel main and a 5-megapixel front camera, 32GB of storage, and a huge 4,000mAh battery. Coupled with Intel’s new 64-bit Atom CPU, the P90 is equipped to make good use of all the bits Lenovo put into the mix. The Lenovo P90 might make many lives “bearable,” but we wonder if all the puns would be more appropriate for another device, like a BlackBeary (see what we did there?). Its the 4000 mAh that interests me. Way to go, promote competitors website. Now that's what I call it furry fast!